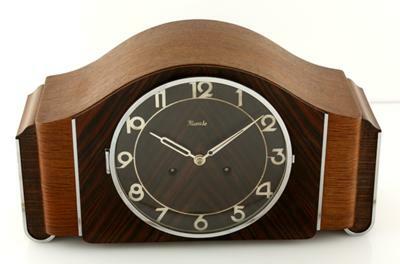 This clock was purchased on Ebay from a seller who purchased it in Dusseldorf. He claims it was made in the 1920s, but I'm not so sure. 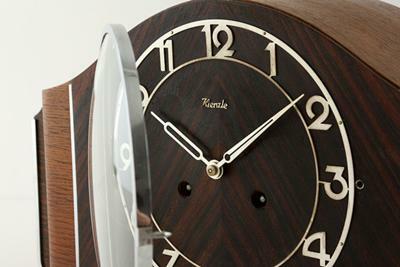 With its art deco styling, woodwork, and chrome accents it is one of the most unique and beautiful mantel clocks I have ever seen. It was made in Wurtemberg,Germany and has a two-tone chime on the hour and half hour. Can anyone tell me what they may know about its actual age, design, etc?